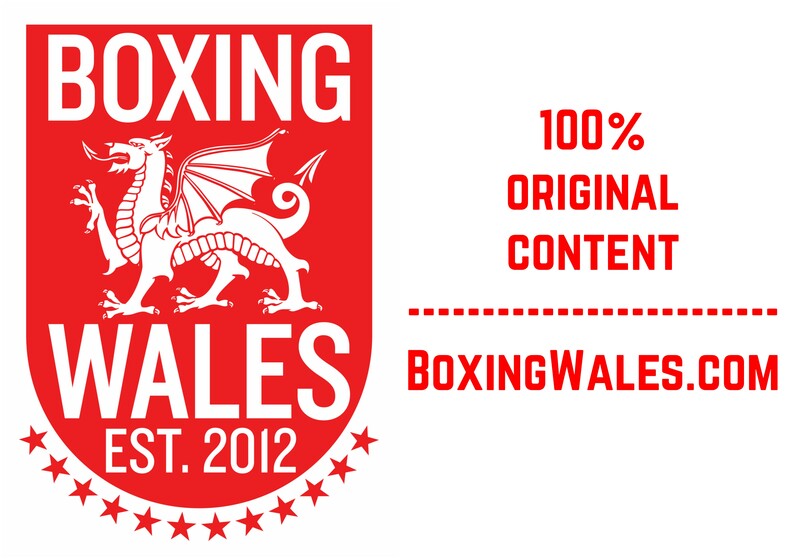 St Clears’ Dale Evans (11-3-2, 3KO) feels fully prepared to beat his next foe, Mike Towell (11-0-1, 8KO). The welterweight usually prepares for fights by sandwiching training sessions around long factory shifts but ‘Big Boy’ has had the benefit of seven weeks off work, a luxury he has desired since turning professional in 2011. He said: “Luckily, I have got a sponsor, Castle Scaffolding, who have jumped on board to support me while I stay up here [Cardiff] and give it a good go for once. I’m training twice a day everyday, gym sessions in the morning and I’m on the road in the night then. 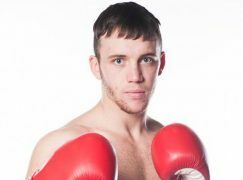 24-year-old Evans believes it means he’ll be at his best against Towell when they meet in a British title eliminator at the Radisson Blue Hotel in Glasgow, Scotland on Thursday 29 September. 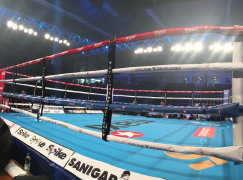 Though local broadcaster STV will screen and stream the scrap, Towell remains a relatively unknown quantity outside of Scotland. There are only a few short clips of his early stoppage wins on YouTube, including recovering from a first round knockdown to maul the once-beaten Robert Dixon in the very next session. Still, Evans is unfazed by the mystery. He said: “I don’t usually study too much of my opponent anyway. 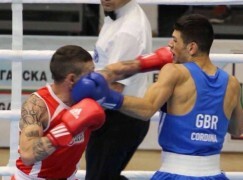 You train hard and do what your trainer says, get in the ring and see what he’s like on the night. From what I’ve seen of him, he hasn’t got much to him apart from steamrolling forwards, which is perfect for me because I can box and fight. 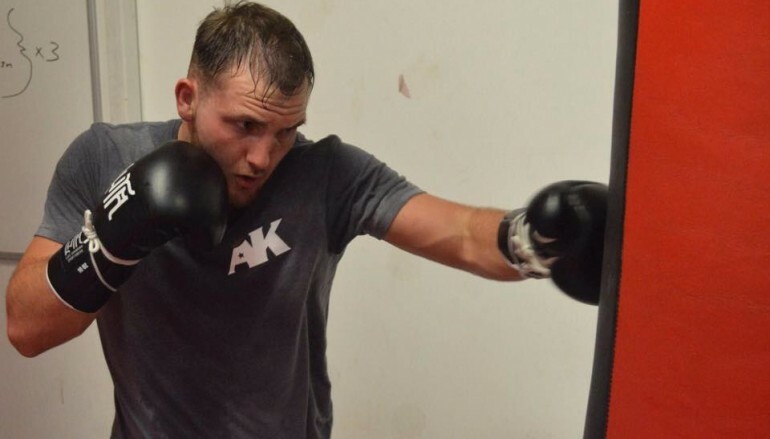 A win would put Evans a step closer to a second challenge for the famed Lord Lonsdale strap, currently held by Penge’s Bradley Skeete who makes his next defence against Shayne Singleton on Frank Warren’s Cardiff show in October. Evans has contested the belt once before, pushing Sam Eggington all the way on just 10 days notice, gallantly losing a competitive decision. 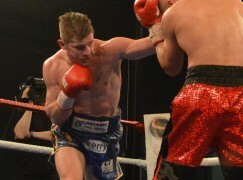 It’s possible that the friendly rivals will re-link up to spar at the Eastside Gym in Birmingham. It’s a refreshing reflection of the sport’s brotherhood and Evans is attempting to replicate the ferocity Towell will bring on fight night. He said: “We’ve kept in touch and sent the odd Tweet now and again. It’s work and business when you’re down to fight each other but Sam’s a nice guy, so we could be helping each other out with some sparring. A small army of loyalists will take to the air and make the hour long flight to accompany Evans and he insists that being the away fighter suits him. Having it hard is a reality Evans has become accustomed to, especially as 11 of the 15 opponents he’s faced have owned a winning record at the point he fought them. He said: “That’s what I like. I enjoy it when they’re booing and swearing at me on the ring walk. I love all of that, that’s what I expect to happen in Scotland and it’ll be nice to turn all of it around. It’ll either be very quiet there or I’ll wins the fans over. Editor’s Column: Hope’s tale takes another twist but is the biggest still to come?